PureFunds is launching two new funds: the PureFunds Solactive FinTech ETF and the PureFunds ETFx HealthTech ETF. Walthausen is launching R6 shares for the Walthausen Select Value Fund on November 1. On August 29, Matthew J. Hackethal became the SunAmerica Series Trust's acting chief compliance officer, replacing Katherine Stoner. Hackethal also serves as vice president and acting chief compliance officer of SunAmerica Asset Management Company. Baldwin Brothers no longer serves as one of the three subadvisors for the AdvisorShares Global Echo ETF, and Baldwin's Adam Seitchik is no longer a PM on the fund. On September 13, TD Asset Managment will no longer serve as the subadvisor to the Deutsche X-trackers Japan JPX-Nikkei 400 Equity ETF. TDAM is succeeded by DBX Advisors LLC. On September 1, Dorsey, Wright & Associates, LLC replaced WCM Investment Management as subadvisor to the AdvisorShares WCM/BNY Mellon Focused Growth ADR ETF. 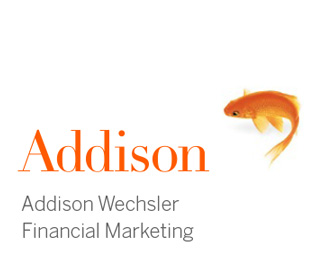 The AdvisorShares WCM/BNY Mellon Focused Growth ADR ETF will also undergo a name change and become the AdvisorShares Dorsey Wright ADR ETF. In August Patrick Dwyer was added as a PM to the Deutsche X-trackers FTSE Developed ex US Comprehensive Factor ETF, the Deutsche X-trackers FTSE Emerging Comprehensive Factor ETF, and the Deutsche X-trackers Russell 1000 Comprehensive Factor ETF. On September 1, Gotham Absolute 500 Fund reduced their investment advisory fee by 15 bps. As of August 29, Ronald Manning no longer serves as PM to the Commonwealth Australia/New Zealand Fund, the Africa Fund, the Commonwealth Japan Fund, the Commonwealth Global Fund and the Commonwealth Real Estate Securities Fund. Dhandho Funds LLC is requesting exemptive relief to launch passive/index-based ETFs. Aspiration Funds is requesting exemptive relief around working with subadvisors. Northern Lights Fund Trust IV and Formula Folio Investments are requesting exemptive relief to launch active ETFs. Active Weighting Advisors LLC is requesting exemptive relief to launch active ETFs. Global X Funds is requesting exemptive relief to create self-indexing ETFs. As of August 29, MassMutual closed and liquidated the MassMutual Barings Dynamic Allocation Fund. On August 30, iShares liquidated the iShares B � Ca Rated Corporate Bond ETF, the iShares Baa � Ba Rated Corporate Bond ETF, the iShares Enhanced International Large-Cap ETF, the iShares Enhanced International Small-Cap ETFM, the iShares Enhanced U.S. Large-Cap ETF, the iShares Enhanced U.S. Small-Cap ETF, the iShares Global Inflation-Linked Bond ETF, the iShares International Inflation-Linked Bond ETF, the iShares MSCI Emerging Markets Horizon ETF and the iShares MSCI Emerging Markets Latin America ETF. 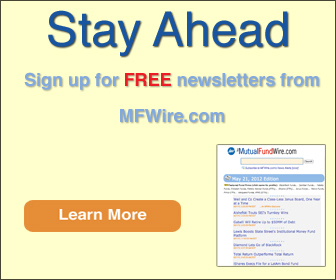 On August 31, the USA Mutuals Beating Beta Fund and the USA Mutuals Takeover Targets Fund closed. They will liquidate their assets on September 29. On September 9, the Hatteras Alternative Multi-Manager Fund will be closed and liquidated. On September 29, Good Harbor Financial, LLC will close and liquidate the Good Harbor Tactical Core Developed Markets Fund and the Good Harbor Tactical Core Emerging Markets Fund.